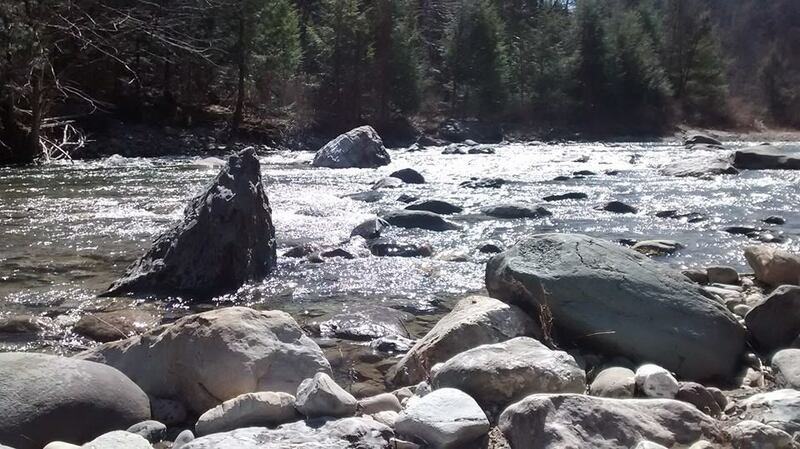 The WNRCD has compiled a list of resources for landowners, municipalities and those int erested in concerning our natural resources on wise watershed stewardship. A watershed is an area of land where all water travels to the lowest point – a river, stream or lake. Water slides down the sides of the area from the highest point to the bottom of the watershed, like rain falling in a large bowl or basin. On its way, the water travels over land, across fields, forest, lawns and city streets, or seeps into the soil and travels under ground (ground water). We may not always realize it, but no matter where we go we are in a watershed. Whether it’s a watershed as large as the Winooski or as small as a backyard, human actions have an impact. 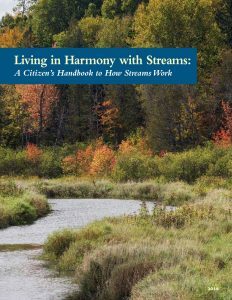 Encourage people and agencies to change their relationship with streams so that responses to conflicts are most conducive to river health, human enjoyment, and property protection; Provide community members with information about how streams work; and Highlight incentive programs available to landowners. The Vermont Trees for Streams Resource Guide is intended for conservation managers whose goal is to properly identify, plan for, and install vegetated buffer projects. Whether a landowner wanting to learn more, or an interested concerned citizen who is new to the process, or an experienced land steward whose practices match those within, the step by step methods is meant to inform and outline a consistent and up to date process for installing buffers. The purpose of this Climate Action Guide is to establish a common understanding of the regional issues associated with climate change, identify priority regional strategies and actions, and provide guidance for municipalities, employers, and individual actions. The focus of this plan is on both reducing the ways we contribute to climate change (climate mitigation) and to adapt in ways that make us more resilient to a changing climate (climate adaptation). The Lake Wise Program is an Agency of Natural Resources initiative that awards lake-friendly shoreland property, including that of state parks, town beaches, private homes and businesses.